in the practice of mindfulness. Our purpose is to assist you in gaining the tools you need to live a healthy, happy and intentional life, professionally and personally, through the practice of mindfulness. Is it possible to bring mindfulness to organisations and individuals to help enhance their wellbeing, leadership skills, self-awareness and sense of balance? From our base in Hobart, Tasmania, mindful intent brings the principles and practice of mindfulness to organisations and individuals across Australia, to help increase productivity, satisfaction and personal happiness. Supported by research in mind-body medicine, mindfulness has been shown to assist in reducing and relieving unregulated stress, states of anxiety, depression, distress, anger and irritation, fatigue, headaches, chronic pain and ongoing illness. Mindfulness cultivates resilience by establishing a practice of restorative relaxation. The practice of mindfulness improves immune functioning and nervous system regulation, increases concentration, clarity and creativity, changes unconscious habits, creates new neural pathways to more positive emotions, enhances empathy and emotional regulation, and can help you to cultivate self-discipline and commitment, and access connection to your core values. has grown from a seed planted within Strategic Intent in 2004.
try one of our free meditations. to receive information on new courses and events. Pamela has worked as an Organisational Development consultant for over 20 years. Pamela’s interest in teaching MBSR came through her work with organisations where work/life balance seemed elusive and many people were finding the stress of everyday life overwhelming. Since 2007 Pamela has taught public courses in MBSR and in organisation settings. 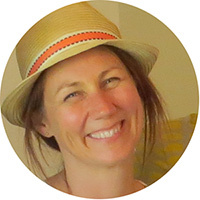 An accredited MBSR teacher with the Center for Mindfulness, Pamela has 18 years of experience with mindfulness and has studied this work for 25 years. Sarah Manns has been a part of the mindful intent team since our inception, supporting participants on our MBSR courses and expertly attending to our administration. Sarah has practiced mindfulness for almost a decade, and has trained with the Mindfulness Training Institute of Australia to offer MBSR through mindful intent. Sarah is deeply committed to the practice and teaching of mindfulness, and is passionate about supporting participants to experience the wide-ranging and transformative benefits of mindfulness in their everyday lives. Mary has practised meditation since 1988, primarily in the Insight tradition and later in diverse lineages. She came to appreciate the clinical application of mindfulness for anxiety, pain and stress so subsequently completed MBSR professional training with Openground. 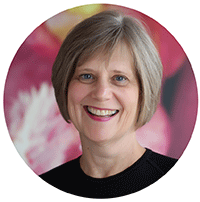 With a strong interest in mind-body science and healthy brain function, she is passionate about how we can achieve optimal health through inner resources. Mary has trained in various modalities of therapy enjoying her work in private practise as a counsellor and psychotherapist in Yallingup, WA. How do you know mindful intent is for you? The practice of mindfulness has become very popular over the last four or five years. As a consequence, more and more options for accessing training have become available. But how can you choose the right teacher and teaching style for you? If you’re at the beginning of your mindfulness journey, deciding which type of offering works best for you can be confusing. Teacher-led, group mindfulness classes have been researched for over 30 years, and the benefits of learning in this way are well known. But not everyone can attend a face-to-face mindfulness course, led by an experienced teacher. If you’re a shift worker, or need to travel for work or business, or you live in a regional or remote area, attending a regular class can be challenging. And, even if you live in a city and can attend a course, how do you know you’re signing up with an experienced teacher? ‘The training of teachers is critical. Mindfulness is a subtle practice and can only be taught well by people with considerable personal experience. It is not something that can be learnt quickly. It is deceptively simple, and people can easily think that they know what it is, when they are actually only using a small aspect of mindfulness (e.g. taking a mindful pause). Presented simplistically, or with misinterpretations, the radical perspective-shifting potential of the approach is lost. mindful intent is a well-credentialed, professional mindfulness training provider. All mindful intent teachers have a long history of personal mindfulness practice and have trained extensively in mindfulness in the USA and Australia. 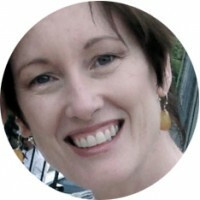 Pamela has undertaken accreditation with the Center for Mindfulness (CFM) in the USA (training pathway: http://www.umassmed.edu/cfm/training/training-pathways/ ) and Mary, Sarah and Dean have all undertaken training with the Mindfulness Training Institute of Australasia (MTIA) (training pathway: http://www.mtia.org.au/training-pathway-in-brief). Both the CFM and the MTIA are involved in setting global teaching standards. In addition, mindful intent is an associate organisation with Openground Training and Consulting in Sydney, Australia. mindful intent acknowledges that, for some people, learning mindfulness in a therapeutic setting is the most appropriate choice for them, and we often refer people to experienced therapists in this area. Having the right foundation in mindfulness training, and studying with experienced teachers, is essential for anyone wanting to draw the greatest benefit from their mindfulness practice. mindful intent offers a range of mindfulness training courses and other resources for individuals and organisations. Please feel free to contact us if you have any questions regarding teacher experience and training, or would like to find out more about our mindfulness classes and courses.